In case you haven’t noticed, there are some changes on the website in an ongoing effort to keep it updated. A number of pages have been collapsed. Click on headings to view subpages. Please see the Prayer Requests link in the left navigation bar for additional information on this spiritually uplifting program. give electronically, you don’t need a set, as it ers self-improvement programs and United Methodist Voluntary Services community advocacy projects. Your gifts on Human Relations Day will support an outreach program of Theressa Hoover United Methodist Church in Little Rock, Ark. The church sponsors a residential and out-patient program for men and women with addictions. Graduates of the program participate in an eight-week course that provides training for unemployed or underemployed people. The offering also supports Exodus House, a ministry in Oklahoma that helps former prisoners to receive the emotional, spiritual and physical support they need to make it on their own. Please give generously on Human Relations Day. Thank you! Our very own church band, Leap of Faith, has CD’s available. Suggested donation is $10. It truly is a joy to hear! See Ron DiCesare, Christine Jordan, or Philip Jordan to pick up one. 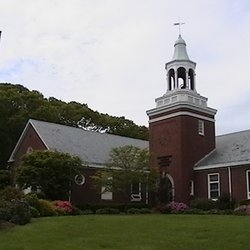 Welcome to Centerport United Methodist Church!! that you can get a feeling of who we are and what we are about in God's service. We welcome you to explore through the pages and links to discover the many parts of the life of the church and the programs that we are involved in and support. We want to get to know you on a personal level, so please join us Sunday mornings at 10 AM, followed by a time of fellowship in Wesley Hall. Worship times are listed under the About Us page. There is always coffee and something to nibble on! 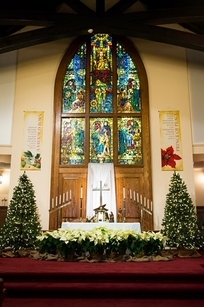 Centerport United Methodist Church is a welcoming, family-friendly worshipping community, with a diverse and multi-generational congregation who are united in their concerns and beliefs. ...are available for adults, families, teens, and children on the table in the hallway. Social time is an important part of getting together socially and being part of the community of the church. Please join us every Sunday after service in beautiful Wesley Hall. We have coffee, lemonade, and light snacks. Please contact Cathy McGoldrick to reserve a Sunday fellowship hour. Thank you! while you are doing your online shopping! Information on LI-CAN and the opioid crisis has been moved to a new page. Please see the Helping Others tab, then LI-CAN.